Have you ever queried Siri or your Google Home smart speaker with your voice to ask a question without typing or swiping? If so, then you were engaged in voice search. What you may not have realized, though, is that behind the scenes of your query was a veritable gold mine of potential for businesses. 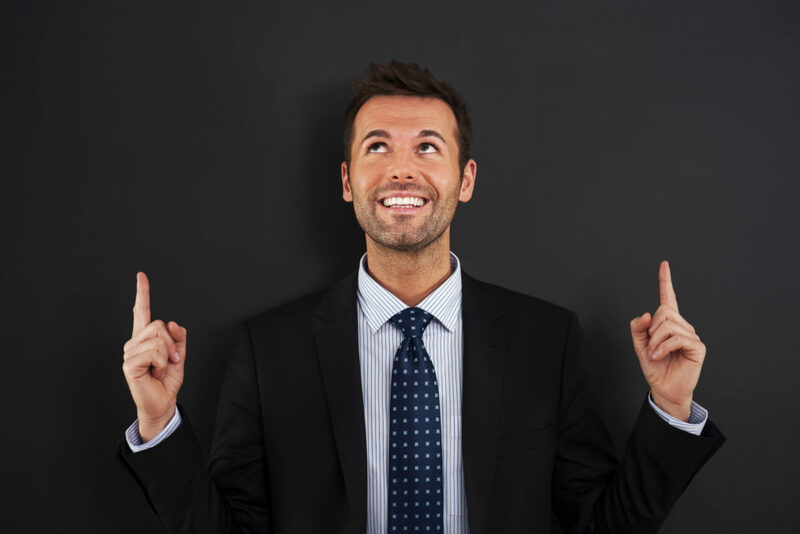 Do you feel like there is a constant barrage of new marketing tools being hurled at you? With technology moving so fast, it can be difficult to keep up. Well, I wish we had better news for you, but technology and marketing are not slowing down anytime soon. In fact, the industry is speeding up, and if you don’t want to be left behind in the wake of competitors who are actively ahead of the game, you do need to keep up with the latest tactics. Lately, we have been dabbling in one of these trending tactics, one that is starting to gain ground and one you definitely want to watch in the coming months. We briefly introduced this tactic to you here and here, but in today’s post, we want to elaborate a little more and help you understand why it’s so important for marketers, and how you can get started leveraging it to increase traffic, brand awareness and sales. Let’s dive into what it is and how you can get a piece of this pie for your own business. Smart speakers (Google Home, Amazon Echo) are directly connected to voice search technology. When you speak your queries, the device answers you with the most optimized result for your question. According to a Canalys study, as reported by ZDNet, smart speakers have become the fastest growing consumer technology, surpassing market share gains of AR, VR and even wearables. 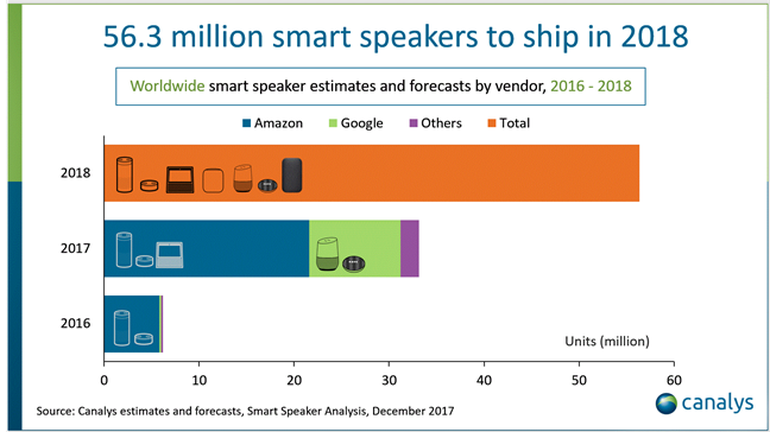 The study also stated that smart speaker sales in the US could reach 38.4 million, and 56.3 million worldwide this year—a substantial increase from just two years ago. Amazon and Google devices are heading up the pack with their Echo and Home devices, respectively. But even more important than Amazon and Google competing over sales is what the popularity of these devices—and voice assistance in general—can mean for marketers. Remember when mobile search came on the scene and everyone and their mother was telling marketers to get their site mobile optimized asap? Once Google started favoring mobile sites in its index and de-ranking those that were not optimized, businesses started scrambling, and the ones who waited until the last minute were at a disadvantage because earlier adopters gained momentum. People are putting down their phones and speaking up. 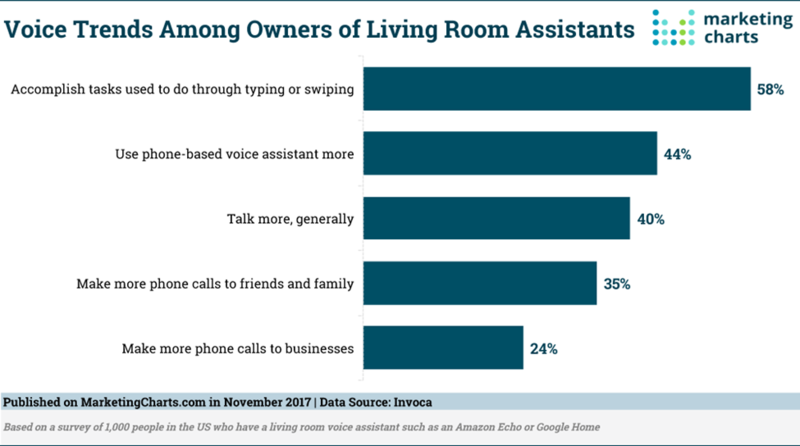 According to an Invoca survey of 1,000 people in the US who own a smart speaker, 89% talk to their devices every day, and one-third do so more than five times a day. Fifty-eight percent accomplish tasks via voice now instead of typing or swiping. Even on their smartphones, people are taking advantage of voice assistance more, with 44% using their phone-based voice assistant. The aforementioned Invoca survey also cites that voice is now responsible for one in five Google searches. In 2020, half of Google searches could include voice queries. What are your customers doing with voice search? People use voice search for everything — making travel plans, checking banking balances, getting diet tips, searching for top news stories and more. Here’s the kicker: People use voice assistants not only to search but also to purchase. Are you starting to see the potential here? Thirty-six percent have used voice search to purchase stocks; 37% have used voice assistance during the process of booking travel and 39% mention that interacting with a voice assistant influenced a purchase in the last month. And, nearly 75% report making a purchase directly through their voice assistant. 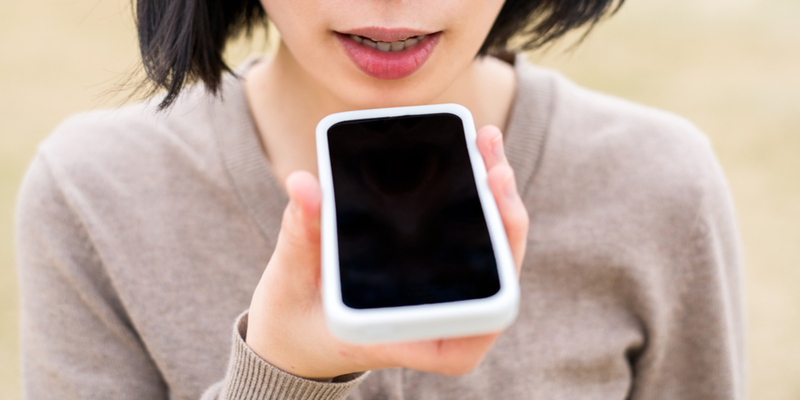 How Can Voice Search Benefit You? If you have a local establishment, optimizing for local voice search will attract more people to your place of business. When users speak a question that pertains to a local vicinity, your website link can appear. For example, a query such as, “Where’s the nearest Italian restaurant?” will send users to your website link, but only if you are well-optimized for local search. Optimizing for voice search can funnel many more people to your website. When people ask voice-related queries, if your related content is optimized (more on this later), it has the potential of showing up in voice search results and hitting the all-coveted position zero (more on this later too). If search results feature your brand as a resource for answers, people will perceive you as an authority on the topic. Imagine a scenario where a prospect is asking a question and your business offers them the exact answers they need. Your brand just became an instant authority and your products also just became a lot more desirable. Increased brand awareness and traffic equates to increased sales and revenue. And the traffic will be highly qualified because you will be targeting specific queries that people who are ready to purchase will ask. That puts your website in exactly the right place at the right time (in front of hungry buyers who are looking to buy a product like yours). Ready to start optimizing? Here are some plans you can work on right now. You can’t optimize for voice search effectively if you don’t know what to optimize for. To do this, start listening to what questions your audience is asking. Then, update your content with these questions and also create new content around these queries. We talked about listening in our data-driven article series and detailed how important this is with regard to improving your customers’ experience and staying competitive in today’s marketing climate. Find out which questions are most important to your audience and then create content around these queries. What is the best vegan food place in Los Angeles? When brainstorming topics for new content, consider adding a few of these query-focused pieces to your website. You can even create Q & A pages based on your customers’ top questions. If you need more help figuring out which queries to target, you should consider using a tool such as answerthepublic.com. Type in your main keyword and the tool will spit out questions searchers ask. This may haunt my dreams tonight. The key to choosing questions to optimize is to start with the queries that are most important to you, the ones that would bring you the most traffic from people who will be willing to buy. What you are looking for are keyword queries with intent to purchase behind them. The people asking these questions may be close to purchasing because they are considering the possibility of taking classes. You can also create a piece of content around them. 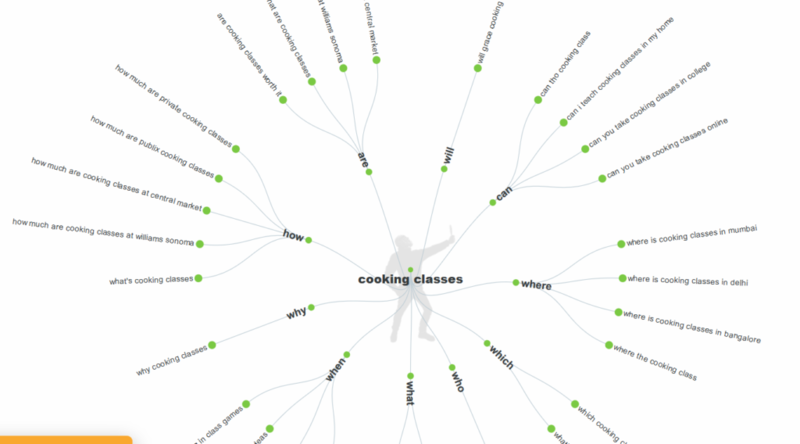 For the second question (“Are cooking classes worth it?”), maybe you could create a 10-step list on the benefits of cooking classes and then optimize that page for voice search. On your page, you could advertise a free lead offer or free trial to your program. 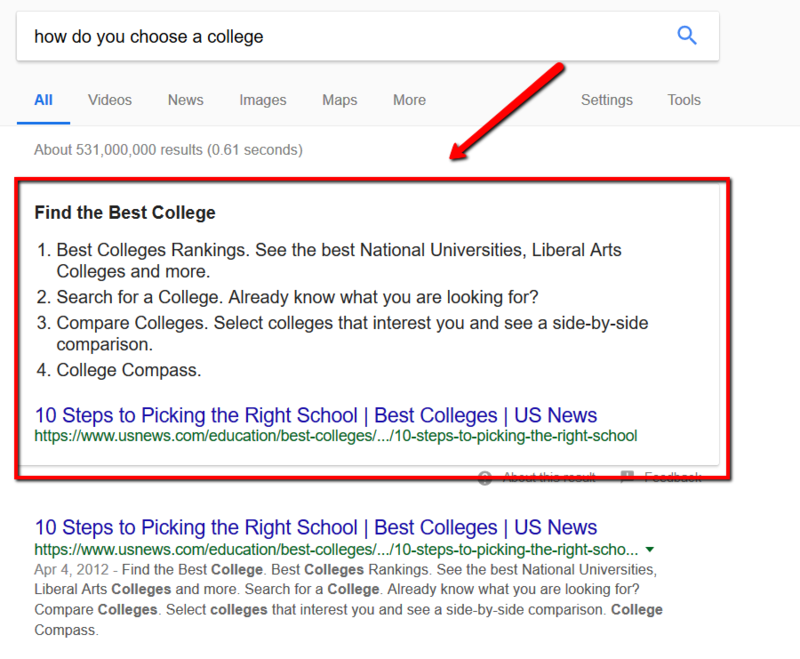 Below, we talk more about how to optimize a piece of content like this to get it ranked highly for your queries. We reported on position zero in a recent article where we compiled some of the instruction presented at the 2018 Traffic & Conversion Summit. We will go over some of those again here and provide a little more detail. 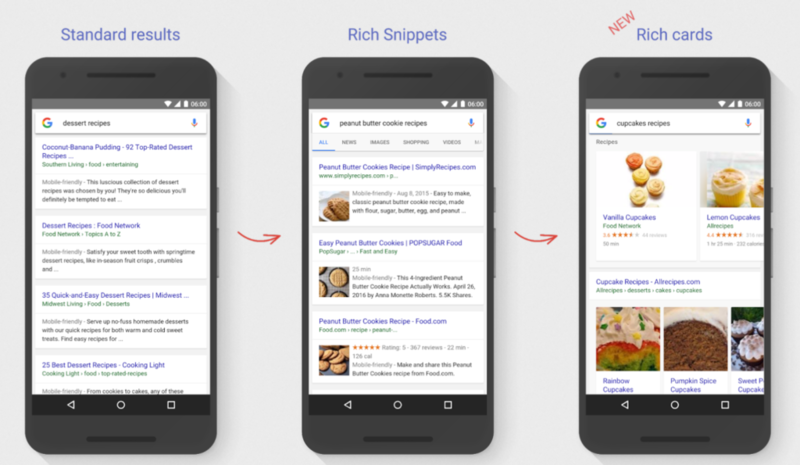 The search results feature snippets from the actual content. The numbered list is taken directly from the H2 header tags. How do you dominate position zero? Be better than the current position zero for the search query you are going after and optimizing. To do this, you need to do some undercover stealth work though. If you are trying to outrank this post and claim the top spot, your content must be better than what is currently there. Going back to our college example, I clicked on the position zero search result, to see what type of content it was. Not a heck of a lot of content for such a prominent ranking, and it could be outdated. I would argue that someone could do a lot better with a more comprehensive piece covering more points. Imagine how many more “mediocre” position zero results there are like this? I think it’s time for you to dominate a few. 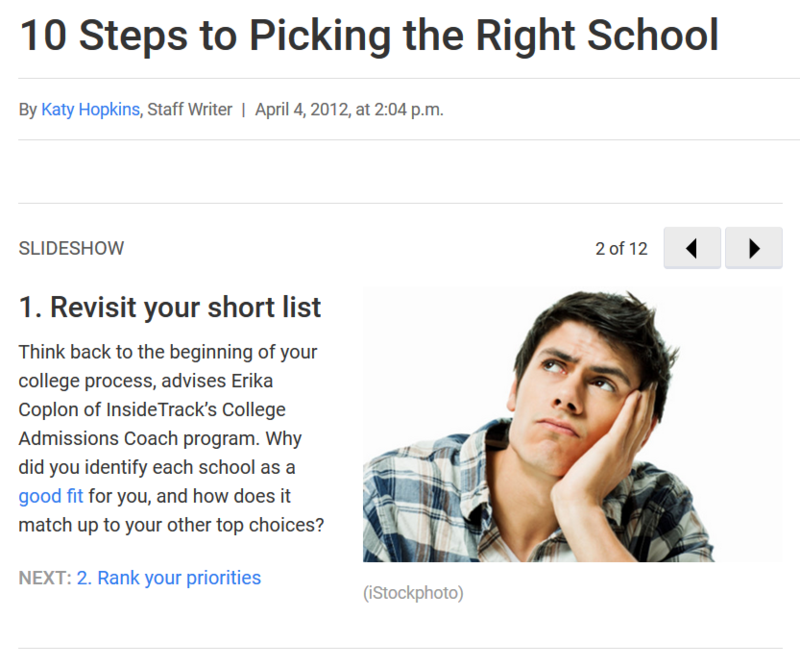 Make each answer headline in your content an H2 heading tag since Google forms the step-by-step answer lists in the search results from those headers. These visuals provide users with a better experience allowing them to browse through content directly on the search results pages. This topic is a bit technical and may be one for your developers to implement. Here is some documentation that explains it in more detail. If you want to start optimizing your content but you are still unsure of where to start, it may be best to hire qualified professionals. With the trend moving as quickly as it is, you don’t want to waste time learning and testing with trial and error experiments. We talked about a lot in this article, so here is a quick recap on how to get started with voice search. 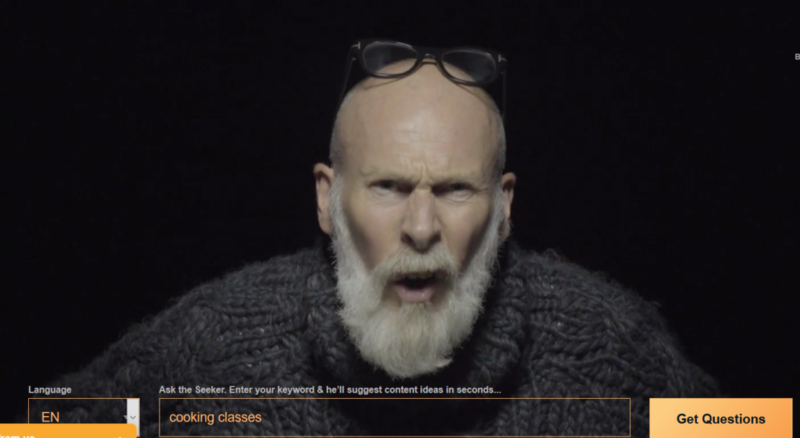 Are you ready to try voice search optimization for yourself? If you are new to the game, reach out to a professional or start with one query just to get an idea of what it is about. If you run a local business, get optimized for local search (you should be doing this anyway) and then start researching some local queries to optimize. Voice search is just beginning to explode and we are getting everything out of it we can. We would love for you to take this exciting journey with us. Good luck!